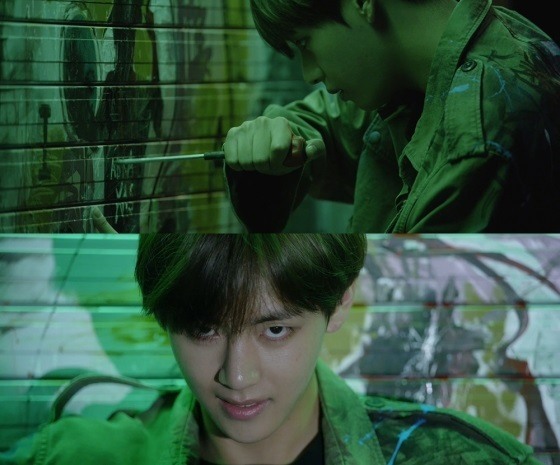 Big Hit Entertainment lifted the curtains on Bangtan Boys‘ third short film titled “STIGMA” on Wednesday. The third installation of the “WINGS” short film series stylistically adheres to the previous two, with Rap Monster’s English narration. The video quickly cuts into a scene with V, who appears to get caught for vandalizing a wall. He is taken in for interrogation, where he finds himself reminiscing and reliving a traumatic experience. 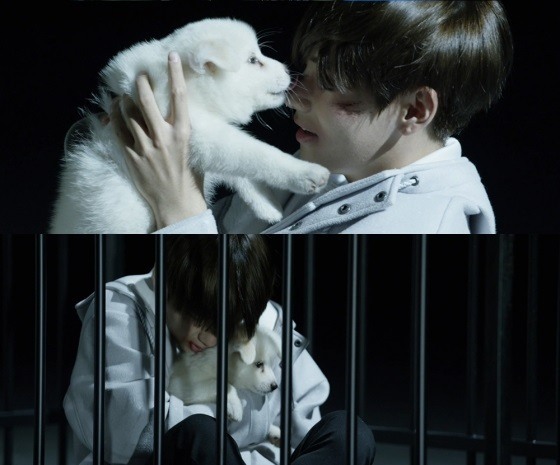 V is also seen with a puppy that eventually leaves him while he sits alone in a cage.